When the odds are against you, chances are you’re going to rely on some otherwise sensational, unbelievable and simply impossible occurrences for things to turn back in your favour. Unfortunately, reality doesn’t really work like that, and roulette is certainly no exception. The universe is managed by rules and numbers, and a game of roulette submits to this same set of rules. No matter how hard you try, no matter how hard you beg the universe, there’s simply no way to “beat” the system, because it’s completely random. So if you’re the kind of person who believes one of these superstitions below, you should rethink your roulette strategy. This is probably the more common roulette superstition as most casinos have a “hot and cold” monitor that tracks the progress of numbers. They offer this to not only show you which numbers have recently come up, but also to play into your superstitions and trick you into betting on “cold” or “hot” numbers. Unfortunately, roulette doesn’t really work that way. It’s not so simple as seeing which colour or number hasn’t come up, and betting on it. That’s because the roulette wheel is bound by the rules of probability and chance: every number has the same chance of being called. If the ball has landed on number 30 for three straight spins, it’s just as likely to come up again for a fourth straight time as any other number is to be called out. The fact it’s been the number for three straight spins means nothing. Looking at the two types of roulette variants – American and Roulette – you have either 38 or 37 possible outcomes, respectively. There are different betting options, and you could choose to bet on one of black or red, with 18 potential outcomes for each, but your odds still sit at just below 50%. Some punters will swear by their lucky numbers. And they may very well have won big on them in the past. But that would have been nothing more than a huge coincidence. There’s no such thing as “lucky” numbers, only probability. You may want to bet on your date of birth, your favourite number, or perhaps the date of the day you got married. The reality is “luck” is really just the short, simple way of saying “statistical deviation”. Of course, there are things about the universe we can’t comprehend, so maybe you have the power to choose the one number that can break the rules which bound our very existence. But the chances are slim. Some players tend to believe the spin of the wheel and ball is not at all random, and casinos or dealers have a way of controlling how and where the ball spins and lands. The problem with this is it’s bordering conspiracy theory, not so much superstition, but it treads the line when players start playing “sleeping” numbers thinking eventually the house will “choose” their favourite numbers. 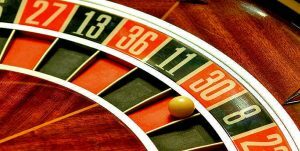 It doesn’t matter who is spinning the wheel, where the game is played or in what casino: all numbers have the same odds, and there is absolutely nothing that influences the outcome of a spin. This could often just be a means of managing funds, but a lot of the time, roulette players raise and lower their bet as a “signal” to the universe things need to change. If someone’s night isn’t going to well, they could either raise or lower, depending on their strategy. 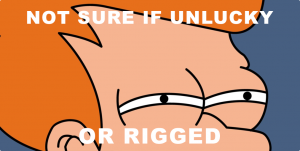 The Martingale system, for example, calls you double your bet after every loss until you have a winner. That way, once you do get a winner, you win back the money you’ve lost. The problem with this theory is you need a huge bankroll, and you could end up losing a week’s worth of rent from a few roulette spins. The important thing to remember is casinos always have an edge over the player, so no matter how well or poorly things are going for you, the house will always come out on top over time. It’s just mathematics, and no “strategy” will beat that system. Betting on one of red or black is actually one of the most beneficial bets in the game. Your chances of landing on a red or black number are slightly below 50%, yet you can win double your bet. It’s a fairly simple bet, and the odds are too good to ignore, but somehow, people still find a way to add superstitions to it. You may see someone arrive at a roulette table, have a quick glance at the table, and then place a whole bunch of chips on the numbers of one colour. Some players do this because they choose the colour based on which one grabbed their attention when they first arrived at the table. The problem with this system is humans process and interpret colour in different ways, and so the colour red might stand out for some players, while black might be more appealing to others. Some players may even look straight to the zero green at the top of the table. It’s probably less a superstition, more a tradition for some players, but the problem with it is that, just with the others listed above, no one number has a better chance of appearing than the other. So while you might have more numbers and betting options covered than not, you still have just as much chance of the outcome leaning in the opposite direction. There’s nothing wrong with having a little faith. You may often see people holding crosses, touching the table, blowing on the dice, or looking up to the sky. A lot of the time this is just habit, in the same way people say, “Oh God!” or “Please, God!” without really meaning what they’re saying. If you want to take the time out of your day to purposefully sit down and focus on praying in the hope of landing some big wins at the roulette wheel, be my guest. But even the big man has a mountain to climb to beat those house odds.